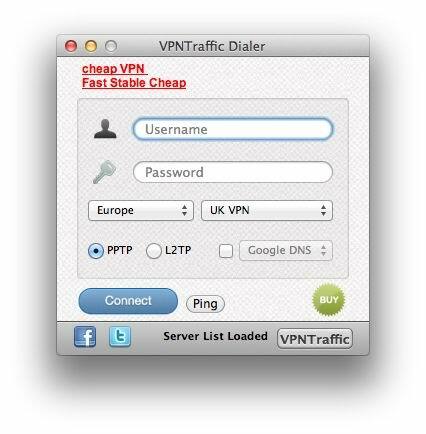 VpnTraffic creates a virtual private network (VPN) between your laptop and VPN servers. No need to enter server names, All you have to do to set it up is to enter the user name and password. Just open the application and select a server location to connect to. It's that easy. Unlimited switches between VPN server locations (35+ Countries VPN servers). Unblock all websites and applications. Including Skype, Facebook, Twitter, VoIP apps and more. Best of all, VpnTraffic VPN client is free to download, Enjoy!